FINALLY a slider that is different. The market has become saturated with sliders that are almost identical with very minor design differences. But I am happy to say there is a new slider available with some killer features and a modiste price tag. 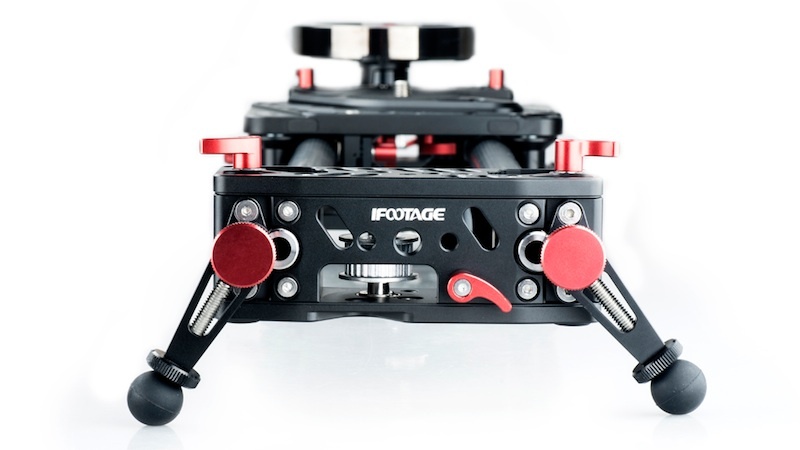 Say hello to the iFootage S1 Shark Slider. When will they have a distributor in United States? The slider is a no brainer as far what you get for the price, compared to what is out there. The only thing holding me back is the fact that it’s getting shipped from China. Shipping cost, length of time to get shipped and customer service in case it needs to be returned. Once they have a US distributor please post. Kinda overprice from a product from China. Hi Caleb. I wanna check out that church, what’s the name and where is it? Brilliant reviews Caleb, well done. ah yes, any of the millions of products made in China could not possibly be as valuable as those produced elsewhere…. That is if you know how much the cost to make these. Quality isn’t the issue, it’s how pricey this is. Hey Caleb nice review and great shots at the church. Did you have any problems with dirt interfering. Hey Caleb, thanks for the review! 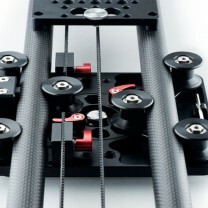 Does the slider have the ability to tighten the pulley down like the Philip Bloom Pocket Dolly? Sometimes I’m shooting with heavy set ups, and I find a little extra friction helps. Well, with that logic apple products should be a lot cheaper. Trust me when I say this thing is worth what it costs. Doesn’t mean everyone can afford it, but this slider is legit and I wouldn’t have sold it for less if I was them. Nope, of the great things about belts, then can take a lot of crap and still work. Other sliders would have been effected. Yes, you can change the friction via the 2 red knobs on the bottom. Actually apple product is cheaper (when compared to all the logic boards that I has been added in) and it has a brand name. If comparing the different circuits and logic boards on it the slider does seem to be pricey. I do agree it’s not for everyone but it seems there has been many companies that are trying to get a bit more of the profit cause they look at filmmaking as a niche market. Great Review, Caleb. (And great Slider too). Which camera have you used? Thanks. Definitely would like to purchase it seems like an affordable entr level price. 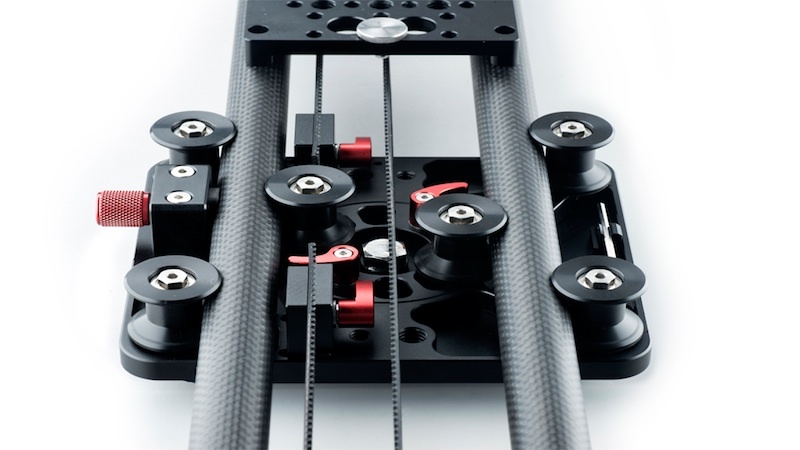 Also I’mrelativelynew to the slider category of shooting, could you pleas tell me where to find informatito find info about rig that houses the camera that you attached to the slider. Thx. I am working on a review of the cage now so stay tuned. I think worldwide ebusiness is very easy now,because of the fast express.and you will get it cheeper when you buy it from China.I have bought one. I have to agree with Johnny, that is steep in price when you know costs of manufacturing goods in China. How do I know this, my friend goes to shanghai every month to negotiate manufacturing of United States companies wanting to bring their ideas to market. You’d be amazed at what things actually cost. Initial tooling of the item is the most costly, but from there it’s surprisingly cheap to manufacture. My guess, looking at this, maybe $30 dollars U.S. To make this in China. None-the-less, it’s a pretty cool product, but considering the Cinevate Duzi is right at $400, I don’t know. i make offer with a ebay seller from Hongkong ,you can get it at 570 USD. I had the same question… found it myself in Gary, IN. Corner of E. 6th and Broadway. Gary is not a safe place and this looks like the worst of it. I may try to stop by there on my way to visit family in Milwaukee next summer….. if I can work up the nerve and if I have someone with me to watch my back. Yeah… It is a super sketchy area. But once you get in there it isn’t that bad, spooky as heck though! But the only people I saw were photographers and all 3 where really nice. caleb about the feet issue, can u not unscrew the ends of the feet to make it a little longer? Hi Caleb, have you tried Edelkrone Sliderplus V2? I’m hesitating between the two. I played with the first one very briefly at NAB. Seemed like a nice slider. Didn’t feel as tough as the S1, but the size is AMAZING. caleb, if you are still checking on these, I would like to know which slider you like better; the konova or the shark? I have tried to find the right balance for the perfect slider (size weight, smoothness, ergonomics) already have the konova k5 model, and the edelkrone slider plus v2. Neither is ideal, the Konova is a bit too heavy and can get erky motion if you are in a hurry while the edelkrone has far too many smoothness issues, despite its incredibly compact size. Do you think the shark could replace these? will it be your primary slider? Have you tried the new belt on the sliderplus? yeah, it’s not just the belt that has issues. I really really wanted the sliderplusv2 to be solution for the size issue, but unfortunately it isn’t. 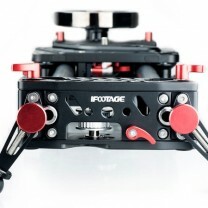 The carriage has a locking button that pops open if you move it with a camera on it because of the rounded contact with the with the lower mount part. This locking button also interferes with the sliding function unless is it fully loosened (making it useless as a lock) and taped open. furthermore, when motion is transferred from one side to the other there is a noticeable ‘shift’ in the rails. If they ever actually crate an inertia module or motor this slider might be usable, until then, i would wait. Great service from Gear Contact. The first unit they shipped me was damaged during transit. After a couple of emails, they sent me a replacement unit within the week. It’s pretty smooth and well built. 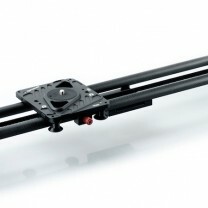 Do you need a tripod head to use this slider, or can the camera attach directly to it? Did you end up buying the iFootage ? What are your thoughts ? I have all three. Shark slider is the best, and easiest to use. Also, I recently made a video reporting on the issues of the slider plus v2 and edelkrone had me send it to them for a replacement. What I got back was much smoother and free of issues that my first v2 had. Carriage is smooth and new wheels are much better and do not rattle. The new wheels are white vinyl and much better, same as the wheels on the “pro” version. Now i use the edelkrone for travel and shark for larger productions and everything else. The Konova does not see much action any more. I really wanted the Edelkrone but negative reviews and not being able to do vertical slides put me off. Hi Caleb. Thanks for the review. One question, with the right tripod/head, can the shark slider be mounted vertically for vertical sliding? You could do that. Would probably be a handful but it is possible! acutally it is made of Taiwan. Consider the quality of this silder it is not expensive. a well named brand can sell it around $1000. actually this is made of Taiwan. so should cost a bit more. by the way I think this is a step up from Duzi. This one has counterweight system, better locking. I haven’t tried the Duzi, but the iFootage S1 is still serving me well. Caleb, the Shark S1 looks amazing even a year later, at least from the current options I’ve seen. I want to do time-lapse while traveling, so weight and size are paramount. While the Edelkrone Slider Plus is super compact and the Motion Plus looks awesome, but it’s limited to 2.6 ft. The Shark S1 Kit, while less portable than the Edelkrone, is still more portable than most and gives 4.4 ft of slide range. 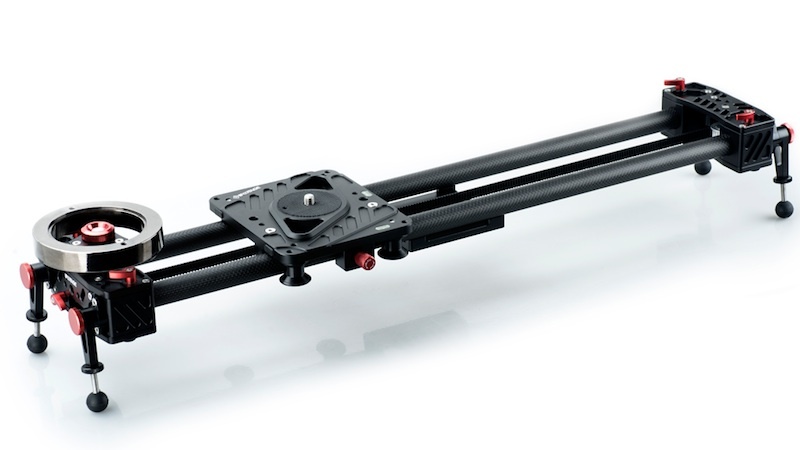 Is the Shark S1 still your top pick for a slider? Yep! Still my favorite. That said I have huge respect for Kessler sliders as well. Truly the best stuff. Thanks so much, Caleb! I was gonna order from your link but the shipping is pricey. I really appreciate your site! 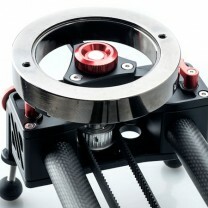 Caleb, did you ever get a chance to look at revolvecamera.com’s add-on motor kit? I just got my Shark S1 kit and Konova skate dolly but really need a motorized solution. 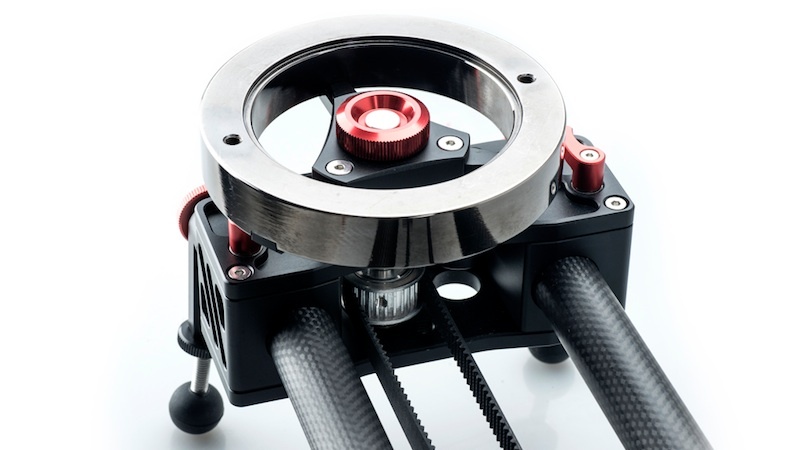 I didn’t necessarily think their slider or skate dolly were the best quality, but they have by far the most affordable, most flexible (works with slider and skate), and really the ONLY add on motor I’ve seen that works with other brands. So I’m wondering if you’d be up for doing a review of that solution for the rest of us. Thanks in advance and thanks for all you do!